We all know that off plan sales are pretty popular in the real estate market. However, we were all caught off guard when we found out that off-plan sales dominated Dubai’s real estate market. 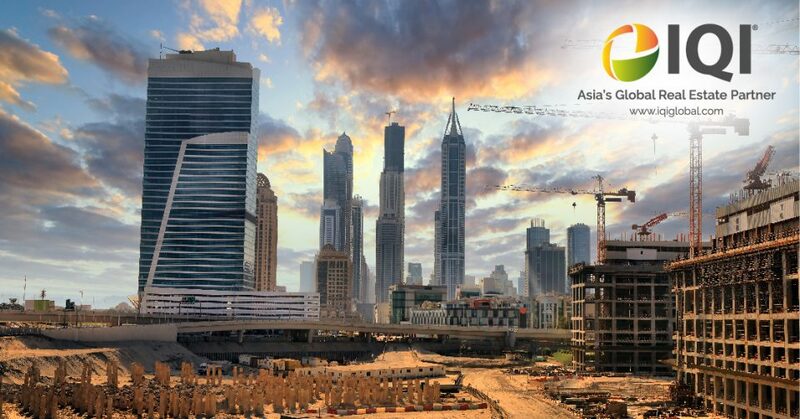 Off-plan projects now account for approximately 78% of total real estate market transactions in Dubai. Where the total off-plan market for prime residential communities was worth AED 16 billion ($4.6 billion), of which Downtown Dubai accounted for AED 5.8 billion ($1.58 billion), Dubai Creek Harbour for AED 2.9 billion ($789 million), and Mohammed bin Rashid city for AED 2.7 billion ($735 million). The first proposed reason is the convenience of the paying plans offered by off-plan properties. As some of the offered off-plan projects had very attractive payment procedures that could last for 10 years even after moving in the house. The mortgage cap introduced by Emirate’s Central Bank is a second reason to why more people can now afford to buy more. Many commentators believe that the cap, which states that expats need a minimum deposit of 25% and pay 7% percent transaction costs, has cooled the market. Finally, we can’t deny the rapid growth of the real estate market being one of the main causes of this phenomenon. As the high volume of new project launches has resulted in developers offering aggressive low deposit and post-handover payment schemes designed to incentivise buyers which has led to increased off-plan sales. This explains why lower prices are attracting new buyers to the upper end of the market, who may not have been able to afford homes at this level. Overall, cheaper homes and lower deposit requirements were driving investors towards off-plan deals. It is said that median prices for homes have fallen by 20 per cent between November 2015 to April 2017, extending a slump that had begun two years earlier. On the other hand, the rise in the off-plan sales has not affected some developers such as Emaar Properties and Damac Properties reporting higher sales in the first quarter of 2017. Emaar booked deals worth Dh6.05 billion in the first quarter, a 44 per cent year-on-year increase, while Damac sold properties worth Dh2.2bn, up 11 per cent year-on-year. “In theory, buying off-plan allows investors to take advantage of historically low Dubai property prices for a very low cost and a get a foothold in the market but this strategy does not come without risk,” said, Mr Propertyfinder Group’s chief commercial officer, Lukman Hajje.